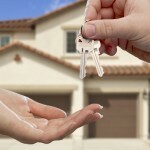 Are you thinking of buying your first home in Florida? Do you need help coming up with the required down payment? Would a program designed specifically to help first time buyers be of interest? Would some much needed financial assistance and incentives make it easier for you to qualify for a first mortgage? If you answered yes to any of these questions, then you’ll want to learn about the various programs that are available to you. It will be well worth your time to educate yourself about the programs that the State of Florida provides. There are multiple grant programs designed specifically for people that meet certain requirements, such as grants for people with disabilities so they can continue to live independently at home. It is worth visiting HUD’s website to see what assistance is currently available. For your convenience, simply go to here. with the local housing code or Section 8 Minimum Quality Standards, or are not accessible based upon household handicap and who are unable to finance the repairs from their own funds. Owners are not precluded from utilizing SHIP funds in conjunction with other funds to meet needs which cannot be covered by other financing programs. All applicants must complete an approved first-time homebuyer workshop prior to applying. Approved workshops are those that are at least 6 hours long, and conducted in a classroom setting. Approved workshops are offered by the following agencies. Call them for schedules, locations, and fees (if any). · Must be located in Brevard County. · Can be a new home or an existing home. The assistance may not be used to purchase a mobile home. 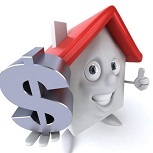 · Short sales are not permitted UNLESS the seller/lender has already approved the sales price. The City of Cape Coral will provide down payment/closing cost assistance to first time home buyers purchasing existing homes. A portion of the assistance will be reserved to assist clients with minor repairs/replacement (not cosmetic in nature) identified in the home inspection. Down Payment/Closing Cost Assistance is available to applicants who are very-low and low income as determined by guidelines provided by US HUD. (see Income Guidelines Chart below). The Obama Administration’s Making Home Affordable Program may be able to help millions of homeowners refinance or modify their mortgage payments to a level that may be more affordable now as well as in the future. If you are looking for a way to make homeownership more affordable for you, the Home Affordable Refinance or the Home Affordable Modification may be able to help. All homebuyers must obtain a first mortgage approval from a Lender or Bank stating amount of mortgage and interest rate. Applicant must be credit–ready and have sufficient income required to obtain financing from a participating lender. The DeSoto County Housing Department provides funding for the purchase of homes and repair or rehabilitation of homes through several sources for qualified families. The Housing Department administers the State Housing Initiatives Partnership (SHIP) funds from Florida Housing Finance Corporation and Community Development Block Grants (CDBG) from the Florida Department of Community Affairs. DeSoto County also is a member of the Heartland HOME Consortia. A homeownership program for low and moderate income families that helps them acquire affordable housing and land use. In addition, it provides their members with credit counseling and SHIP (State Housing Initiative Program) assistance. The State Housing Initiatives Partnership (SHIP) program provides funds to local governments as an incentive to create partnerships that produce and preserve affordable homeownership and multi-family housing. The program is designed to serve very-low- to moderate-income families. Once the SHIP Application package is received by the SHIP Office, the Program Coordinator begins reviewing the information, verifying your income certification, calculating exactly how much Down Payment Assistance you qualify for, and preparing any SHIP notes and mortgages needed for your real estate closing. This typically takes up to two (2) weeks. The SHIP office will send you a commitment letter if you are income eligible for SHIP. Creation of the Plan is for the purpose of meeting the housing needs of the very low, low and moderate income households, to expand production of and preserve affordable housing, to further the housing element of the local government comprehensive plan specific to affordable housing. A multifaceted program funded through the State of Florida designed to increase affordable housing construction and homeownership in Hernando County; the SHIP Program has been increasingly successful since 1993. The SHIP Program offers three programs that include a Multi-Family Development Program, a Homeowner Rehabilitation Program and a Down Payment Assistance Program. Tampa Bay CDC is a HUD-approved non-profit organization whose mission is to promote homeownership opportunities for low to moderate income households in the Tampa Bay area. If you are looking to purchase a home in Pinellas County or within the City limits of Clearwater and Largo and you meet the income and eligibility criteria, we may have funds available to assist you with your downpayment and/or closing costs. Homes are for sale in the Polk County Neighborhood Stabilization Program (NSP). Homes are being purchased in targeted communities throughout the county and are being fully rehabilitated for sale to low and moderate income homebuyers. Assistance is up to 20% or possibly more of the home purchase price plus additional help with closing costs! The amount of assistance is 10% of the purchase price appraised value, not to exceed $10,000. Funds are to be used toward down payment and/or closing costs. If you meet HUD’s income qualifications, don’t currently own a home and are purchasing an existing single family home in Lee County as your primary residence, you may qualify for assistance. This program is not for investors. If you are thinking of buying home, The Housing Council is the perfect place to start. We help first time buyers become better consumers by learning the basics of home purchase and educate you on different grant programs. Regardless of what lender you may be working with, give us a call. 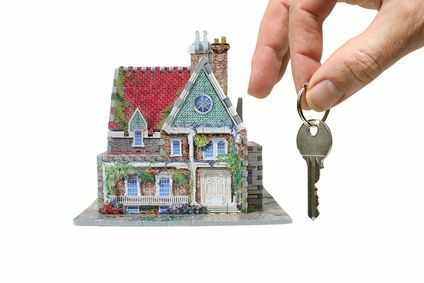 The Housing Council First Time Home Buyer staff has over 30 years experience in the Monroe County Real-estate market and can explain the home buying process to you for from beginning to end. We offer education, one-on-one counseling, credit repair and possible financial assistance towards purchasing a new home. We will teach you everything you need to know so you can achieve your dream with confidence. Home purchase assistance (for down payment – limit of $10,000 and/or closing costs) and home repair (not to exceed $20,000). I. 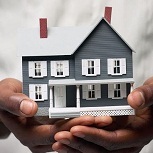 Provides housing assistance under the State Housing Initiative Partnership (SHIP) program. The SHIP program is the heart of the William E. Sadowski Affordable Housing Act which was adopted by the State Legislature in July 1992. Its goal is to make home ownership available to a wider circle of citizens by providing the down payment and/or closing costs to those who qualify for a mortgage. Each house or townhouse must also have some repairs that need to be done or were completed in the last 12 months. Who is eligible to participate in the SHIP program? Any resident of Okaloosa County who meets the federal income guidelines for low or very low income is eligible to apply for SHIP assistance. The Down Payment Assistance Program provides assistance to qualified first time homebuyers for down payment and closing costs associated with purchasing a home. The amount of assistance provided will be determined based on your household income. A household can qualify as very low income, or low income. Please refer to the income chart in the Learn More section of this web page to access the income limits. The amount of assistance available is from $7,500 to $10,000. All applicants must complete a pre-purchase homebuyer’s education program, and secure a first mortgage. The property to be purchased must be located in Orange County, outside the city limits of Orlando. The City of Orlando’s Down Payment Assistance Program is available to eligible very low, low and moderate income first time homebuyers for the purchase of a new or existing unit. The property must be located within the City limits of Orlando (see Address Locator). Depending on the gross household income, assistance may be $5,000, $10,000 or $14,999. Not have owned a home in the last three years. Attend a Home Buyers Orientation Session and complete an approved Home Buyers Education Workshop. 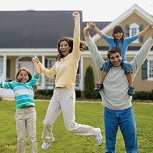 Have a minimum of $1,000 to contribute toward the costs of buying a home. Have an annual income that falls within the area median income guidelines as defined by the U.S. Department of Housing and Urban Development. Additional terms may apply. (See Income Guidelines). HOME Downpayment Assistant Program Funds may be used for closing costs, down payment assistance and rehabilitation, if needed. Priority will be given to very low; and low-income families. Very low-income first-time home-buyers will receive up to $20,000 in total assistance with a minimum of $10,000 going toward the down payment and closing costs. The remaining $7,948 can either also be directed toward the down payment and closing costs or, if needed, be spent on assistance for code-related rehabilitation work on the house. Low-income first-time homebuyers will receive up to $15,000 in total assis-tance with a minimum of $7,500 going toward the down payment and closing costs. The remaining $5,448 can either also be directed toward the down payment and closing costs or, if needed, be spent on assistance for code-related rehabilitation work on the house. Pasco County has received $55 million from the Department of Housing and Urban Development to help homebuyers purchase foreclosed and abandoned homes in order to stabilize neighborhoods. Pasco County is using these funds to assist homebuyers with their downpayment and closing costs so they can get into a safe, decent and standard home. This is a program for homebuyers, not investors. We want more homeowners in Pasco County. Santa Rosa County recognizes the need to provide residents with a variety of quality affordable housing choices. The Housing Program’s primary purpose is to improve housing opportunities for the benefit of low and moderate income families. The goal of the Housing Program is to create partnerships, maximize resources and identify new strategies to develop and preserve affordable housing. The Sarasota Down Payment Assistance Program provides a Shared Appreciation Mortgage Loan (SAM) to low-income first-time homebuyers by paying a portion of their down payment and closing costs associated with the purchase of a home. The funds must be used to purchase an existing single-family residence or condominium. The City of St. Petersburg offers financial assistance to first time home buyers who purchase and occupy a new or existing eligible residential property located within the city’s municipal boundaries and those who not received prior financial assistance from the City of St. Petersburg. Second mortgage loans are available to assist the home buyer with closing costs, down payment and to reduce or “buy-down” the first mortgage interest rate. Down payment and closing cost assistance loans are provided to income eligible applicants at a zero percent (0%) interest rate. Repayment terms and loan amounts are determined by the sales price of the home. This entry was posted in Down Payment Assistance, First Time Home Buyer Grants, First Time Home Buyer Info, First Time Home Buyer Programs and tagged closing cost assistance, down payment assistance, Florida Department of Economic Opportunity, Housing and Urban Development. Bookmark the permalink.